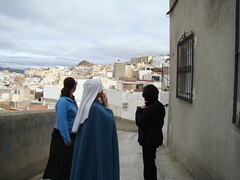 The flow of activity at Our Lady of the Eagle Sanctuary in Alcalá de Guardaría, located near Seville, Spain is continuously showing signs of bearing fruit. 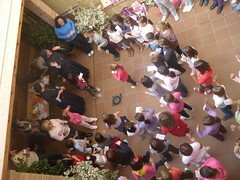 Thanks be to God, on Saturday, November 19th, more than 50 girls came to our monthly get-together. Last Saturday, November 12, members and friends of the Home of the Mother in the Tampa Bay Area came together for their monthly Family Encounter. 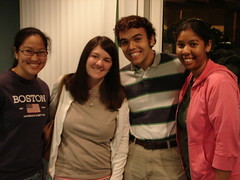 The Tampa group meets every second Saturday of the month at a home in Dade City. The Servant Sisters from the Jacksonville community and three candidates traveled to spend the afternoon with the Tampa group. 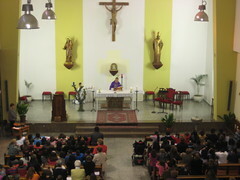 On Sunday, November 20th, the Servant Sisters in Rome held a retreat for college girls at the church in the Sisters´ house. 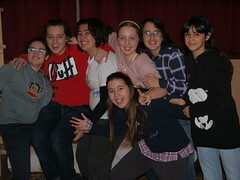 A group of girls from different parts of Spain came together with two communities of the Servant Sisters from Getafe and Valencia for the All Saints´ Day long-weekend vacation. 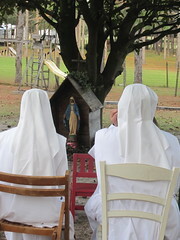 We had a get-together in Torrent, at the Dominican Mothers´ Bethlehem Monastery, which the Servant Sisters of the Home of the Mother are currently living in, close to Valencia, Spain. We all had a great time! 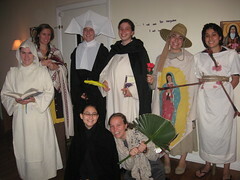 Last weekend in the Jacksonville Resi, we held our annual “Holy-ween” party for high school/college-age girls. We call it “Holy-ween” in order to bring back the tradition of celebrating the saints and their lives on the vigil of All Saints´ Day. The only catch to coming to our “Holy-ween” celebration was you had to dress up as a saint. On October 28-30th, the community of Servant Brothers in Urroz-Villa – located in the region of Navarra, Spain – had a get-together for young boys from Barcelona, Zaragoza, Ajo (Cantabria), Arroniz (Navarra); other Servant Brothers came along as well. Everyone arrived in the afternoon. There was a family atmosphere right from the start, full of joy, friendly conversations, each one helping to serve the other – which should be trademarks of any member of the Home of the Mother. All of the boys took part in the tasks and work that we had to do. The first mission was to make dinner. 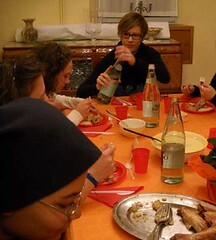 At dinner, we had a lot of reasons to celebrate: first of all, the very cause for our getting together: to get to know Our Lord, by means of Our Most Holy Mother the Blessed Virgin; secondly, to enjoy seeing each other again; and Fr. Juan´s 16th priestly anniversary was commemorated with a tasty pumpkin cake. 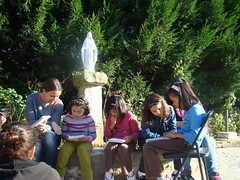 Our Lady gave us a beautiful, sunny day after many rainy days here in Cantabria, on Saturday, October 29th, when we had a get-together for little girls in Zurita, Spain.The 5 girls arrived at noon and the H.M. Get-Together began. What was the theme? 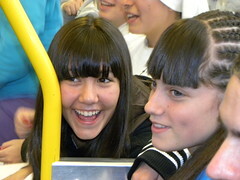 ¨Be a Friend of the Saints¨. And what better way to start off the day than with the Saints´ best friends: Jesus and Mary, of course. Last Sunday – October 30th – was a day full of graces and blessings for the Home of the Mother here in Lumezzane (Brescia), Italy. Sunday began like any other Sunday: we went to Mass – this time at 9:30 – at our parish. Afterwards, the Sisters went with a group of girls, aged 6 to 11, to the Don Rovetta Center in order to spend the day there. All of the activities had for its theme the parable of the man who finds a treasure in the field, he hides it, and then later goes out and sells everything he has in order to buy that field. 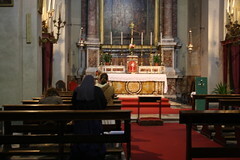 We had time for prayer, reflecting on the parable before the Treasure: Jesus in the Most Holy Sacrament. 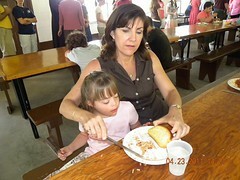 We sang, danced, cooked, and ate…all together, as a family. 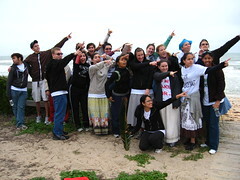 Later on, we had a scavenger hunt with teams; the goal was to find the treasure, which was Jesus in the Eucharist. Once the scavenger hunt was over, five girls entered in the Home of the Mother for the first time – or renewed their commitments. 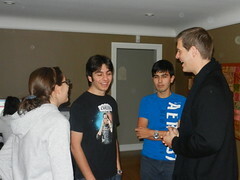 They were very happy to be a part of the gift that Our Lord wishes to make to His Mother, who is Our Mother as well! Everyone went home happy after having spent the day together with Her. Long live Our Lady of the Pillar!